Let's be honest: being a teacher is one of the best jobs in the world. Unfortunately, it is also one of the most stressful and exhausting jobs. I am about to begin my ninth year as an educator and, despite all I have learnt about the profession during that time, the experience of my first year is still fresh in my memory. I remember the adrenaline-induced panic I felt at the beginning of each new class, desperately hoping that the next lesson would go well. I also remember spending many hours every night planning, organising and creating lessons for the next day. Finally, I remember agonising over the behavioral challenges I faced from a small number of students and my own sense of failure at being unable to find solutions. As I have come to learn, my experiences are very normal. New teachers always find that the learning curve of their first year is steeper than they ever expected and many people feel like they never truly get their 'head above water'. Unfortunately, many new teachers feel like they cannot admit how hard they're finding it, in case others think that they're not 'cut out' to be a teacher. If you're a new teacher, please know that you're not alone. Your first twelve months will be a chaotic whirlwind in which you will be constantly learning new things. Everyone feels overwhelmed at many stages during their first year of teaching. However, it doesn't mean others cannot help you. In this blog post, I wanted to share some of the best advice that I received in my own first year of teaching. These are the things that made a real difference to my success as a new teacher. Brilliant lesson planning can be quickly be undone by unruly or disengaged students. Sometimes, poor behaviour from a minority of individuals in the first few minutes of a class can derail entire lessons. As a result, new teachers can feel like the hours they invested in creating an engaging lesson was wasted. Fortunately, this can be overcome by taking the time to create an effective behaviour management strategy. Once the class knows your rules and are willing to follow them, they can engage with, and enjoy, your well-planned lessons. Now, ‘behaviour management’ isn’t about setting out punishments, which is what new teachers sometimes assume. It is more about creating a positive classroom culture by setting clear expectations for how your class is going to operate: with both clear consequences for poor decisions, but also clear rewards for success and hard work. Learning how to do this well takes significant time: don’t expect to have perfect classes from day one. Also, don’t be afraid to start each new term afresh with more clearly defined rules if things haven't turned out the way you had hoped. It will probably take you the whole year to feel like you’ve got a handle on behavior management. As a general rule, have only a few rules to which you stick to. Having too many rules will confuse and exhaust you as you attempt to implement them all. Also, always follow through on your rewards and punishments, so that students will know that your word is your bond. You may feel like you are supposed to know everything in your classroom, especially when students ask you all sorts of odd questions. However, don’t fall prey to the idea that you must have an answer to every student query. Also, don’t pretend to know the answer when you don’t. Students are very good at detecting insincerity, so simply be honest with them. If you don’t know an answer, you can use the occasion to create a quick research activity, or encourage students to find the answer for homework and report back to the class. If the question is something more abstract or philosophical, with different potential answers, share the competing interpretations with the students and ask them to make their own decisions. In a world where students can access Google and Wikipedia in a few quick taps, teachers are no longer required to be the ‘font of all knowledge’. We are better at our jobs when we show students how to be critical thinkers, or be honest about our own shortcomings. Students will learn far more from this than from someone pretending to know everything. As a new teacher, you are expected to plan, resource and deliver over a dozen lessons each week. You may have falsely assumed that you need to do all this off the top of your head and that you need brand new resources for every lesson. This would be truly absurd. The amount of time you would have to invest in order to do this is monumental: you would lose your sanity. Thankfully, teachers have been writing lesson plans and creating resources for many decades, and their resources have been freely shared online. Make the most of this and utilize them. You can save yourself hundreds of hours of work by using pre-made resources in your own classroom. A great place to start gathering free resources is TES.com. This website allows teachers to share resources from a wide variety of teaching areas. 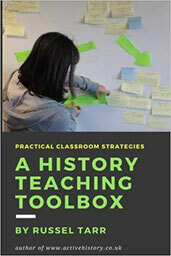 You can also purchase great resources like Russel Tarr's A History Teaching Toolbox (pictured to the right), which has some great ideas. Of course, you can also ask around your staffroom and see what other activities your peers already have that they are willing to share. The classroom is a foreign environment for new teachers and it is not always clear what is ‘normal’ regarding student behaviour, workloads or activity types. It is easy to feel overwhelmed or confused about how to cope with everything. Therefore, it is crucial that you find other teachers in your school you can talk to. They can help you get up to speed with mundane admin tasks, expectations for duties, and also talk through some of your frustrations or confusions. Supportive peers can also keep you grounded in reality so that you’re not stressing out too much or catastrophising after one bad class. You can also connect with other teachers on social media. For example, there is a very active teacher community on Twitter. If you're looking for some great people to follow, check out this list to start you off. After graduating from university and having so much feedback on your practical placements, it can be disorienting being in a classroom with no-one giving you regular commentary on your progress. Therefore, don’t be afraid to ask a trusted teacher to visit your class to observe a lesson or a few minutes of an activity and get some feedback from them. I found that after just observing 10 minutes of one of my lessons, a fellow teacher gave me three ideas that transformed my classroom experience. Teaching is an all-consuming profession and you will find yourself regularly planning lessons and thinking through behavior management scenarios in your sleep. This is normal, as you are under a lot of stress during a typical day and your brain tries to sort through it all during the night. It is a rare new teacher that doesn’t eat, sleep, think, talk and breathe teaching every minute of every day. Because of this, your body needs significant time to unwind and relax. This is best done during the holidays. When you walk out of school on the last day of term, make a concerted effort to ‘switch off’ from school. You may feel the need to start planning for next term or make new resources. However, you are better served by letting your brain recuperate before starting again. Many teachers find that they need a full week before they start to really feel relaxed after the end of term. Make the most of this. Stop reading emails, watch some films, catch up with friends. 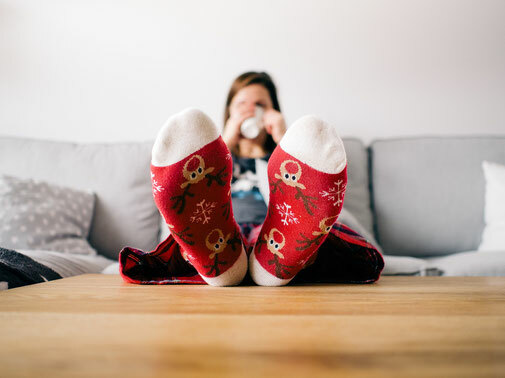 You and your students will be better for the ‘down time’ you have during the holidays. Finally, remember that you are in a profession that creates life-changing experiences for dozens of people every single day. You will have highs and lows, wins and losses. However, keep in mind that your career is a marathon, not a sprint. You cannot do everything right from day one. You will make mistakes and become a better teacher as a result. Within a few years you will be in a position to share your own 'best advice' with the next group of new teachers. Sharing the wisdom and experiences you had will help them through their own chaotic whirlwind that is their first year of teacher. After all, that is what I just did in this blog post.